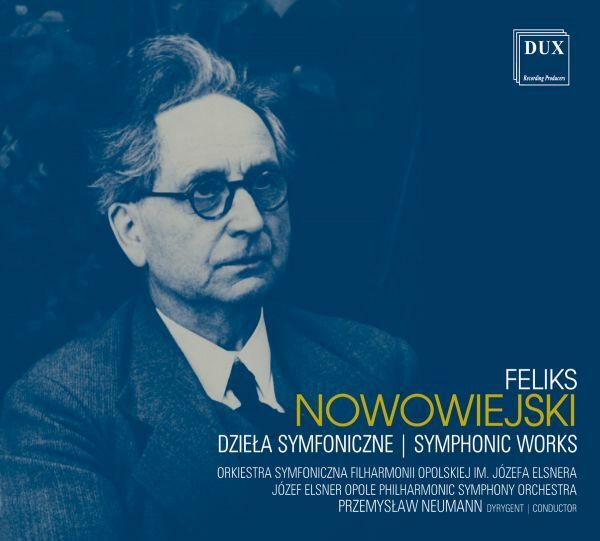 Feliks Nowowiejski Symphonic Works - Good start for polish music. A significant part of Feliks Nowowiejski’s works, particularly major pieces, remained in manuscripts and it went into oblivion soon after the composer’s death (1946), as if it were encoded in oblivion. This state of affairs remained until the recent years when a part of Polish music community began to recognise severe gaps in the knowledge about the works of our composers. It is also the ensemble of the Opole Philharmonic under the direction of Przemysław Neumann that makes a significant contribution to decoding Feliks Nowowiejski’s music. The present album, including symphonic pieces of the author of Oath, which have been rarely performed and are almost absent in the recording industry, is a testimony of it. These are extremely interesting, selected symphonic works, composed with uncommon panache, plenty of melodic invention, pompous climaxes and profound Romantic aesthetics.